MUTANT SHORTS: The Mutant Rooms Series. 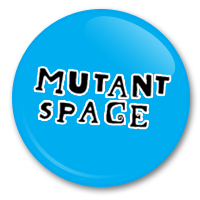 The Mutant Shorts film competitions take place twice a year as part of the MutantSpace Trash Culture events, bringing lots of new arts events to Cork City. Previous Mutant Shorts competitions have proven very successful, with filmmakers from all corners coming together to make and screen their shorts. All films will be screened at the Roundy bar on Friday November 25th @ 7.30pm. Below are the rules and registration info. It’ll only take a minute to read! MUTANT ROOMS: A Dark Place. Filmmakers must provide their own equipment. Goldiefish Events, YMCA building, 11 – 12 Marlboro Street, Cork, Ireland by the end of October, or asap.